From athletic dogs to working dogs to couch potatoes we have your dog’s back! Dogs have an almost identical nervous system and anatomical structure to that of humans and can reap the same benefits of Chiropractic. The techniques differ from human to animal, but the basic concepts and science are identical. Dr. Jessica uses her hands to provide an adjustment to a hypermobile vertebral joint or joint of the extremities to remove interference from the nervous system and allow the body to heal and function optimally. General wellness for continued motion and health! 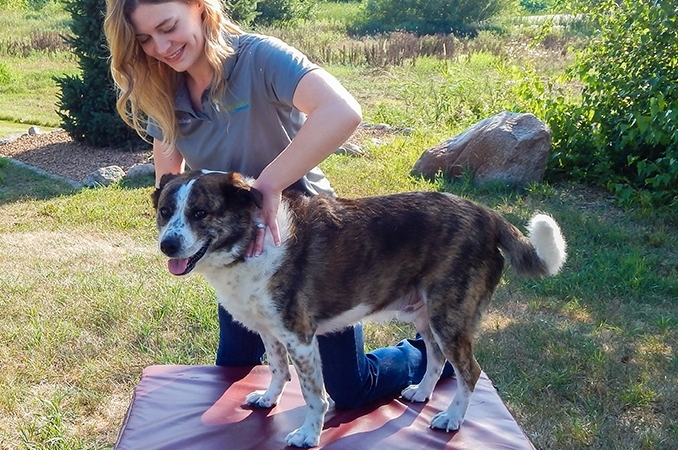 If you or your Veterinarian have any questions about whether or not your dog may be a good candidate for chiropractic please don’t hesitate in giving us a call or sending us an email. Copyright 2019 - Healing Meadows Animal Chiropractic. All Rights Reserved.